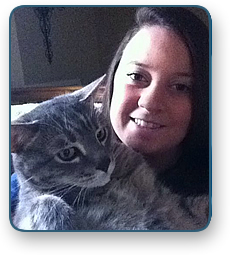 Sam Brooks - Sam has been with the Schulmeyer Animal Hospital since 2010. She graduated from Perry Hall High School and is pursuing a degree in Animal Behavior and Psychology at Towson University. 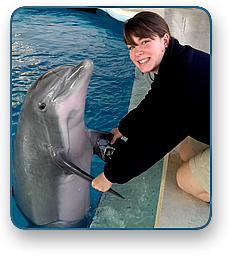 She is currently volunteering at the National Aquarium in Baltimore in the Marine Mammal Department. Terry Buontempo - Terry has been with the Schulmeyer Animal Hospital since 2009. She graduated from Perry Hall High School and is currently pursuing a degree in Teacher Education. She lives in Perry Hall with her family and her dogs, Zion & Quila. Her hobbies include spending time with family and soccer. 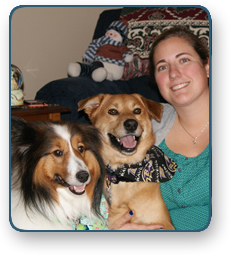 Megan Campbell - Megan has been with the Schulmeyer Animal Hospital since 2010. She is currently attending Towson University pursuing a degree in Human Resource Management. She has two cats, Tom and Dexter, who are spoiled rotten. Her passion in life is helping others, whether it's human or animals. You will never catch her without a smile on her face. Meg Krafft - Meg started with the Schulmeyer Animal Hospital in 2012. She graduated from Perry Hall High School and will be starting school to become a Veterinary Technician in the Fall of 2014. Meg lives in Perry Hall with her furry kids, Sasha and (new arrival) Finnegan. In her spare time Meg enjoys crocheting and hiking. 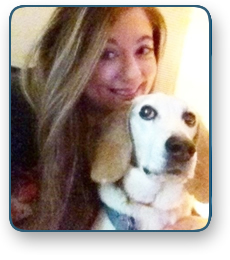 Emma Latgis - Emma has been with the Schulmeyer Animal Hospital since 2012. She graduated from Perry Hall High School in 2010 and is currently pursuing a degree in Biomedical Sciences and Zoology. Emma lives in Howard County with her beagle fox hound mix, two cats and a chinchilla. 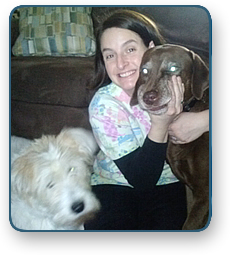 Kim Peitz - Kim has been with the Schulmeyer Animal Hospital since 2004. She graduated from Parkville High School and is currently pursuing a degree in nursing. Kim has two dogs - Louie & Drake. She also has a toad named Bud and four fish named Nick Mar k fish, Ding dong head, Foodle McNoodle and Little Ray Ray. 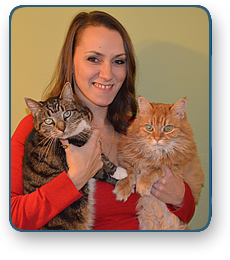 Catherine Robinson - Catherine has been with the Schulmeyer Animal Hospital since 2006. She lives in Perry Hall with her husband, Mike, and their dogs, Natty and Logan. Catherine enjoys spending time with her family and friends, taking Natty and Logan to the park, Crossfitting and participating in various sporting activities in the community. Joanna Waddell, RVT - Joanna is a Registered Veterinary Technician who has been with the Schulmeyer Animal Hospital since 2005. 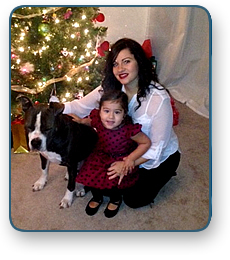 She graduated from CCBC with a degree in Veterinary Technology and became nationally certified in 2008. Joanna and her husband, Aaron, live in Rosedale with their two daughters, Ava and Ari. They have 2 cats, Emma and Lucy, and a very energetic Golden Retriever named Eutaw. In addition to her passion for animals, Joanna enjoys exercising, dancing, hiking and reading.